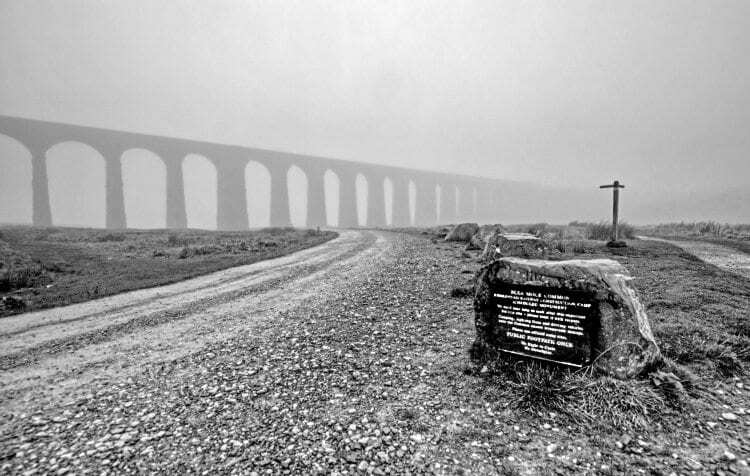 Opening in 1875, the Settle to Carlisle railway is a feat of Victorian engineering built over some of England’s most inhospitable land in the Yorkshire Dales and North Pennines. The line was mainly constructed by Irish Navvies, who were housed in large camps along the way as construction proceeded. These camps, some of which were almost townships, were provided with schools and other facilities for the builders’ wives and children. Life was hard, particularly during the winter months, but the children, as children do everywhere, adapted quickly to their circumstances. They had entered the tunnel after tea, it was during the summer of July 1871, when the evenings are still long; the day, like the days of the previous week, had been hot and dry with no hint of rain. Their Ma had thought they were playing down by the stream, but Michael had had his sights set on the tunnel mouth, with its cool and mysterious interior, for some time. He had often watched the men leaving the unfinished portal at the end of the day, dirty with sweat marks through their grimy faces, noisy and boisterous, but always with a friendly greeting for the watching children. Michael was with his younger sister Bridget, a six-year-old, who followed her big brother with that mixture of trust, curiosity and apprehension younger sisters reserve for older brothers. The discarded candle was by the entrance, just as Michael had expected after watching the men leave at the end of their shift a little while earlier. Lighting this with the match he had taken from a box at the side of the kitchen stove, they were unseen as they cautiously entered the tunnel entrance. It was 15 minutes later they approached the spur to the left, which Michael knew from listening to the tales told around the workers’ settlement in the evenings was the abandoned original route. A rock fall the previous winter had resulted in several men being killed and the course had had to be diverted, due to, they said, an unstable overhead formation. It was then Bridget complained about the chill as the temperature fell as they proceeded along the neglected route, but she stayed close to her brother as her unspoken fears began to rise. It was a further 20 minutes later they heard the loud crack behind them, followed by the deafening roar and an approaching dust cloud that made them cough and gasp for air, as well as causing the candle flame to flicker and then abruptly extinguish. non-stop into Leeds. We were due to arrive into Leeds at 4.15am just as the dawn would be breaking and then, after leaving the engine on shed for the Holbeck staff to dispose of, off it would be into the hostel for food and a few hours sleep. This train was always a heavy train, tonight being no exception, and we’d left Citadel 18 minutes late because of station delays. We were in the middle of a short summer heat wave with the evening still uncomfortably warm and sticky. Peter, my young fireman, was however pleased we’d been given one of Kingmoor’s recently rebuilt ‘Royal Scots’, a loco well on top of it’s job, and this one being fresh out of the shops was a pleasure to work on.